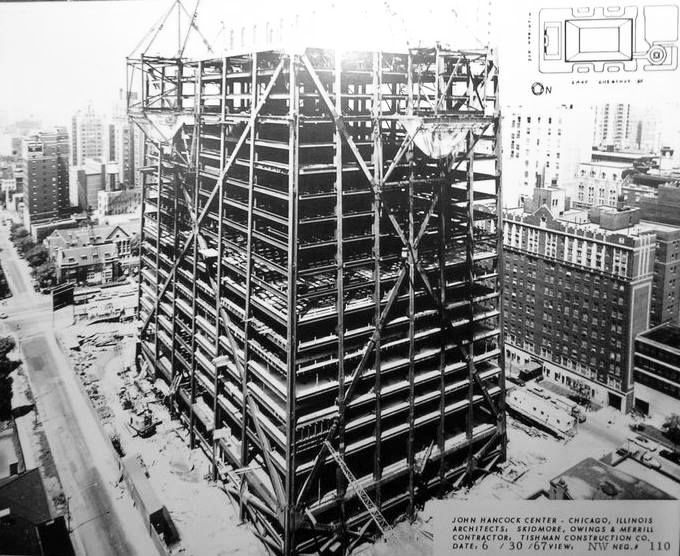 July 18, 1966 –The first steel column, 35 feet long, weighing 30 tons, is set in place for the John Hancock building at Michigan Avenue and Delaware Place. It is anticipated that in the following 16 months, 42,000 tons of steel are to be placed, forming the skeleton of a tower that will reach 1,105 feet above the ground. As rosy as this day is, things quickly fall apart. Under the load of a single steel column, one of the 57 caissons on the project slipped downwards approximately an inch in one 24-hour period. 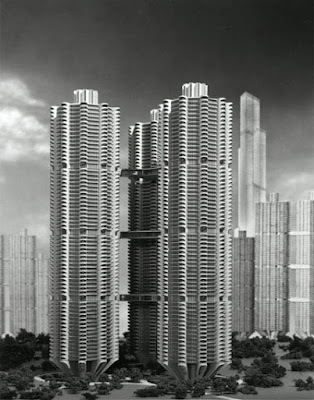 The structural engineer for Skidmore, Owings and Merrill, Fazlur Khan, called for a halt to construction so that all of the caissons could be tested. He was right to do so, as 26 of the 57 caissons were found to be defective. Following the testing, it took four months and 11 million dollars to repair the defective foundation elements. The tower topped out on May 6, 1968 and was at the time the second-tallest building in the world. It has been awarded the Distinguished Architects Twenty-Five Year Award and has been included in the World Federation of Great Towers. 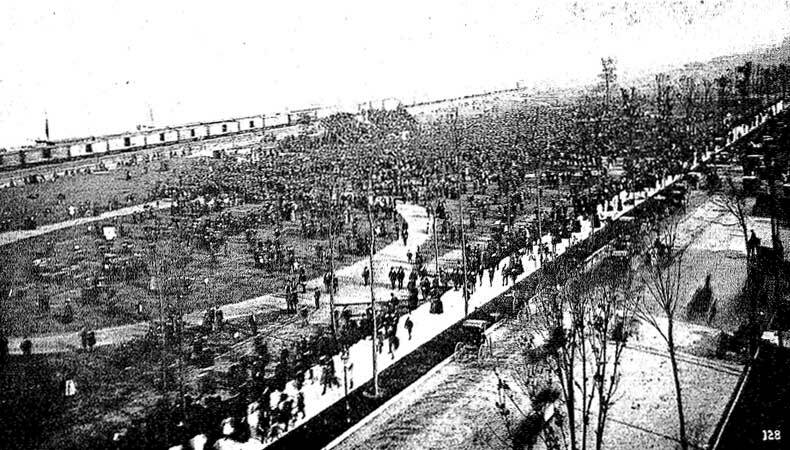 July 18, 1889 – The Chicago Daily Tribune surveys the field in the running for the World’s Fair of 1892 (that actually ended up being the World’s Fair of 1893) and concludes that Washington, D. C. is the “only place which is making an earnest effort.” [Chicago Daily Tribune, July 18, 1889] That’s good news, according to the paper, because during the summer months that will form the heart of the fair, the nation’s capital “despite its broad avenues and its shade trees, is as hot as the ante-chamber of the infernal regions.” But the heat isn’t the only problem that the nation’s capital faces in the competition for the fair. Its railroad facilities are inadequate, and the Tribune proclaims, “Unable to deal with the small attendance at an inauguration how could Washington handle the far greater course at a world’s fair?” Chicago is the only choice, and the article makes that clear, saying, “Here is a climate which is cool and delicious when in other cities men are dying by the score from sunstroke. Here all can come for low rates, and be well cared for when they come” The article closes with a quote from the Omaha Bee, “expressing the sentiments of the West.” Said the Bee, “As the youngest of the great metropolitan cities Chicago typifies more fully and fitly even than New York the vigorous and rapid march of American progress, and she represents more truly the best spirit, character, and aspirations of the American people. Chicago could provide abundantly for all who would visit the exposition, and she has attractions far exceeding those of the Easter metropolis …There can be no reasonable question that the exposition would be a great financial success if held at Chicago.” Just look at the photo above. All of that open space by the cool, cool lake ... ignoring the steam engines, of course. July 18, 1977 -- The developers of River City outline a proposal that they say will add $110 million to Chicago’s economy. Robert McGowan, president of Chessie Resources, Inc., the owner of the site on the east side of the Chicago River south of the Loop and a partner in the development plan, predicts that the 11,000 people who will occupy the residential towers at River City will add that amount of money to the city’s downtown stores. Bertrand Goldberg, the architect of the three 72-story towers projected for the site, says, “The beauty of the project is that no city money will be involved in the construction phase. Everything – the schools, recreational facilities, sewers, streets, and sidewalks – will be provided with private capital.” [Chicago Tribune, July 19, 1977] Goldberg’s plans include three towers, each of which will have three separate sections connected every 18 floors by two-story service areas, containing schools, a day-care center, 24-hour nursing service, a gym, mail room, security center, laundry and convenience stores.